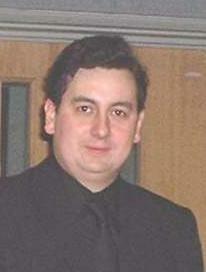 Mark Burstow grew up in Belfast and has a wealth of choral experience. He directed the Harlandic Male Voice Choir in Belfast for ten years (starting off as youngest Male Choir conductor in the UK) and made many recordings and broadcasts with this group. He also founded the Tavener Consort, a small select mixed voice ensemble, and directed this and a number of provincial choral societies. As a singer he served as a lay clerk at Belfast Cathedral and assisted with the training of the trebles. An enthusiastic amateur choralist, he currently lives in Bournemouth, Dorset with his wife Helen, where he works as a civil servant. Music: Trad. arr. Mark Burstow. Words: Thomas Moore. Music: 16th. C. anon. arr. Mark Burstow. Words: Anon.